What if we simply keep getting recycled back into earth civilization...whether we are good or bad? What if this earth really is our home? I kind of think we need to create heaven on earth for all of us...not just for those who finally get it right. I believe in a high standard of ethical behavior...but I don't believe in excluding people from the party. These are just my thoughts. They are not channelled from Ramtha or recieved on a Pleiadian craft. What I worry about is what I perceive to be an evil spirit and evil alien infestation of planet earth. I would rather have good spirits and good aliens living with us...or at least visiting us from time to time...without being tormented for thousands of years by the 'bad-guys'. Perhaps December 21, 2012 is Judgment Day in a Cosmic Custody Case with all of us being the children. I tend to think that we currently have very abusive parents. I would like to see the current tenants of the DUMB's evicted in 2012. I have asked Jessica Schab (Crystal Child) if she would share her thoughts/"downloads" about the subject of 2012. She told me that she will make a series of postings about it on her blog, and also perhaps put up a new youtube video(s) about it. I will post it all here when it is up of course. I would recommend everyone following this thread to also check out the Astralwalker thread on 2012. A lot of nice pictures and interesting info regarding the peak of this Ascension Experience. Although I do not share all of the viewpoints in that thread, I am all for participating in worldwide meditations and I am glad the PC crew have been thinking in similar terms. I hope we can get as many people up for these events as possible! So please spread the word about this, and sign up for the newsletter. I really do not think that the StS aliens will be allowed to "astral kidnap" any Soul on this planet, if such a plan is even in motion any longer at all. The planet is surrounded by highly evolved Service to Others oriented ET's here to make sure everything goes according to plan. In addition to this, a relativly large percentage of the population are Wanderers (Star Seeds) and Lightworkers at this time (in different stages of awakening). Nothing is left to "coincidences" in the bigger scheme of things. There is nothing special that needs to be "done", and there is nowhere special where one needs to "go". All one needs to "do" is to allow the awakening process to go as smoothly as possible. Understand where you are, and what time you are living in. This is no time for "worldy ambitions" and chasing "career". It is wakeup time. Become a "lucid dreamer" instead of a slave to the dream. Everyone is being guided to where they are supposed to be, when they are supposed to be there. You are only as safe as you feel inside. Stay centered, calm and peaceful in the eye of the storm. The heat/Light will continue to increase as more and more people awaken. It is all orchestrated by Divine Providence - by Spirit/Source. All we need to do is play our little part in it and enjoy the show! Ps. When a latent Wanderer (Star Seed) starts to Awaken, things can move forward very very fast. Huge leaps in Level of Consciousness is possible due to what Bashar calls “the rubber band effect”. I have illustrated this graphically (see picture below). The graphs are loosely based on real people/Wanderers in my life. This “rubber band effect” is true on the individual level, as well as on the global Mass Consciousness level. The New is born/arises in "inverse ratio" with the collapse/crumbling/death of the old, much like we see in the outside mirror of "reality" in the world today, as the Level of Mass Consciousness keeps rising. These categories are not to be seen as “rigid and distinct” of course. They should serve only as guidelines for different types of experiences that a Wanderer has signed up for. In reality there are as many varieties of these two “extremes” as there are Wanderers and people. The “average Human” graph is supposed to reflect a person born into a relatively resourceful and wealthy middle class. A) All Wanderers come in with a relatively high incarnation LoC, but some volunteered/chose to delve deeply into the lower depths of the Scale in order to gain valuable experience of "human denial". Evolving out of this is a tough and valuable experience which also prepares them for their future roles in Service to Humanity. The individual “reward” is a chance to make really big leaps up the Scale, and thus evolve much higher than ones incarnation level in just one single lifetime. 3rd density is the hardest “school”, but also the most effective. Wanderers of type A thus aim to take full advantage of that fact. B) Other Wanderers (probably the majority) never deviated very far from their incarnation level (most never go below the 200 limit). This means that their life has been relatively “stable”, and many such individuals do not have the faintest idea that they are not of this Earth. They are here to stabilize the higher vibrations and gain positions of influence in society until the time is ripe. That is perhaps their main service. They are not so much the "risky/gambling" types (like those of category A). Their "goal LoC" for this life is typically not set very much higher than their incarnation LoC. Thus, they have not "condensed" as much karma lessons into this life as those of category A. Last edited by Sanat; 12-31-2008 at 04:16 PM. An article by Henry Makow PHD "Illuminati Reveal Their Crazy Apocalyptic Agenda" with excerpts and quotes from Hidden Hand explaining "The Great Harvest"
At the "Harvest" evolved souls will enter the "Fourth Density" with the Illuminati and enjoy a "Golden Age," while everyone else's soul will be transported to a "replica earth" where they will continue to "work on themselves." Some peoples "hatred" towards "the elite" overshadows everything else it seems. Many people are trapped in that kind of "victim consciousness" unfortunatly. People must "believe" whatever they want. But deliberately misrepresenting and twisting of material to "win a point" is counter-productive, and it hurts the credibility of the person doing it more than anyone else. Why not allow people to make up their own minds? I wanted to add one thing: Is it not ironic when the "hate object" (in this case "Hidden Hand") come across as so much more "loving/likable/symphatic" and polite in his communication, than this person who claims to "fight for the Good against evil" (in this case Makow). The rabbithole goes very deep it seems... Who to trust but yourself? Last edited by Sanat; 12-31-2008 at 05:44 PM. Not so much abusive parents as opportunistic nannies. Yes, their time is about to expire. We will gain our freedom, we have been told (I would not have been so sure if I had not been told). How it will come about is not so easy to see right now, - but it will happen. I think we are 'healing the world and making it a better place, for you and for me and the en'tire human race' to say it with Michael Jackson. And we have all been invited to the healing party. Those that leave at various points, go to places agreed upon in advance, pre-incarnation. 'The harvest' is an illuminati misconception, something that they have made many mysteries around. As long as they perceive themselves as being on the checkerboard, they are as low as the 'sheeple' they despise or take pity upon. It is only when we withdraw from the gameboard they can achieve a necessary shift in perception, and when that happens, they are on the midway path. They will cease to see themselves as teachers, they will be walking side-by-side, realizing that the learning goes both ways. I read the Ra material 20 years ago, and I had to put the relevancy to what %? Truth is, I put it away. % of STS and STO is nonsensical, in my view, especially when it is said: If you only muster 51% you are on the safe side. Neither is karma about reward and punishment, it is about balancing the experiences of several parallell lifetimes. What matters is a shift in perception. We see a higher reality and in that reality the checkerboard game of black and white as played out in a dualistic 3D is seen for the illusion it is. THEN we REMEMBER our true identity as soverign and integrated in the I AM, as we always have been and always will be. We will then forgive ourselves and each other for having made the game so realistic that we became lost in it. 'The midway path' is where dualities merge. We do not become identical, we retain our uniqueness, but we see each other as an equal part of the whole. For many of us it will be on this planet in a higher octave. I wish all of us the strength we need to get thru 2009. It could be a bumpy road ahead, some will need more help than others. The healing party is also about helping each other thru the rough spots. Last edited by Josefine; 12-31-2008 at 10:31 PM. Hi AstralWalker and everyone else following this great thread! To put it bluntly; If only a small portion of the scenarios painted here are but remotely true, and to me they seem highly accurate indeed, then we must all face the fact that 2012 is not about "survival". This perspective has been clear to me for some time now, and this thread with all the info here (much of which I was somewhat familiar with from before, but not all put together like this) only further confirms this notion. If anything it is like the crop circles and Existence is trying to tell us: Wake up! Life is not about "survival". It is about spiritual evolution, adventure and growing in the eternal Spirit. So why are we here/now? If you look with the eyes of your common sense and intellect, you see Pole Shifts, unavoidable catastrophes as result of natural cosmic conditions and laws. But if you look with the eyes of your Heart, the picture looks different, and deep inside yourself you know that in the end, everything will be OK. This leap happens somewhere closer to 2012. Right now we are pretty close to it and everyone can feel how "time" is speeding up as it collapses more and more into the eternal continuum. What will "happen" to us, and what to do? This book presents a lot about the physical things that will happen that also border on the meta-physical. Ra and many other sources speaks about the coming "Harvest/Ascension" of 2012. Here it is called "the Nexus event". I don't think the elite will be all that powerful as it is presented in the book. Their power wanes as the Level of mass Consciousness of Humanity rises. A huge cleansing and uprooting is happening on that front right now as the Level of Mass Consciousness has reached unprecedented hights this year (the 14th october non-event/event being a trigger for a lot of "latent" Wanderers). Also, the higher the level of Mass Consciousness the more the StO evolved/friendly ET's are allowed to assist. They have been assisting a lot behind the scenes for a long time already. Everything leads up to the Harvest/Ascension/Nexus event. Remember that most people drawn to these things are Wanderers with family and friends observing/guiding from the crafts that surround the Planet at this time. I really do not think these highly evolved races observing/guiding this process will allow anything too drastic to interefere with "the plan" (and with all their beloveds down here at this time). The "elite" will have just enough rope to hang themselves with... Their bunker-situation will be but a futile attempt to escape destiny. Many earth humans that do not make Ascension/Harvest because they are not evolved enough will probably die in the earth changes and be transported to a new 3rd density planet (some say "replica Earth") to continue 3rd density lessons until they are ready to move on. Essentially everyone will go where they are supposed to go. 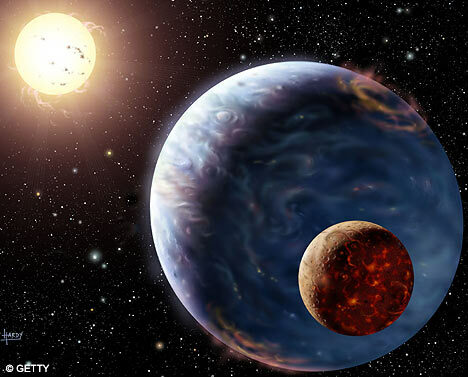 Gaia herself will evolve to a new 4th density planetary body, and leave this current one behind. Anyone that has been out of the body knows that these things are not really "far out", but rather natural. This physical reality is not all there is. Far from it. Leaving these physical bodies behind will feel as natural as removing some old clothes when the time comes... So nothing to fear but fear itself as that retards the process somewhat and creates friction in something that can go very smoothly. This is where we can help the process by facing up to mortality, meditate, relinquish resistance, and increase Awareness. Physical cleansing also helps of course. The amount of somewhat different, yet similar, information out there always seems to "hold something back" right? This is because we are not supposed to "know it all". Life is supposed to be adventurous and exciting, and we would hardly learn anything if everything was known all along. Much is indicated and hinted upon, but it is up to us to interpret it our own way. The state of being always in the "search/learning" or Seeker modus is much more important than to know anything. All the various information circle around the same "elephant in the room", and by this it triggers our curiousity and Seeker modus. So many people are trapped in the "I know" modus, and this is a gigantic blockage for Soul Growth and evolvement. "When will we know and understand what is going to happen to us?" "If such major changes are due on the 21st Dec 2012, shouldn't we know beforehand of this?" 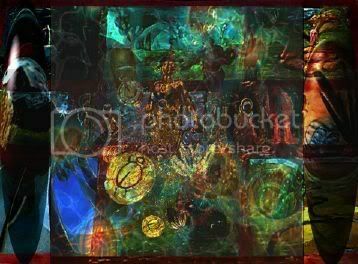 These and other questions are responded to by the White Winged Collective Consciousness of Nine, through Magenta Pixie. Last edited by Sanat; 01-05-2009 at 12:49 PM. "You will Harvest yourselves" he says. You reap what you sow. Last edited by Sanat; 01-16-2009 at 12:41 PM. How is it possible that we will be able to teleport and defy gravity? Well, my dear friend, when matter speeds up, the physical body being something of frozen light matter (crystal), time slows down. This is the theory of relativity by Mr. Einstein. Time can beat at different rates throughout the universe, depending on how fast you move or vibrate. My guides tell me, that the speed of light is not as fast as the speed of thought and even faster than that, is the speed of heart intent. Ok, let’s try an easier way to understand this, in order to grasp this; I will have to share with you about dimensions. How I learned about dimensions came to me one lazy day while I was staring at a fan. When the fan is turned off you can clearly see the blades, this is like the 3rd dimension, what most of humanity, physical reality, resides in. This also represents our chakras, not in much activity. If you turn the fan on to the second level, you can still see the blades but they seem rather transparent. That is like the 4th dimension, the realm of the astral and the aura and the dimension even reptiles work in. Finally, if you turn the fan onto the highest level, you cannot see the blades but that does not mean they are not there, that is similar to the 5th dimension. That is where we are heading. In order to get there though, we will be making a journey from 3rd to 4th to 5th. We will be able to see and experience things that have a much higher frequency, like we could before, when were babies. This is kind of like the 4th property of matter. Beyond solid, liquid and gas, is plasma. Read the rest on her blog. We are like players of a video game - we get so involved in the game that we forget that we are playing a game. We forget our true nature. At first you are just playing the game. You 'get into' playing it so much you forget that there is something other than the game. You identify with one of the players and you think, feel and experience the game from the limited point of view of one of your game characters. At least momentarily, you forget who you are and think you actually are the character in the game. Have you ever tried to talk to children watching a favourite television programme? They are so involved they can't even hear you. Likewise, the human video players are so involved in their game that they do not even know who they really are. However as the global consciousness is rising more and more people are shutting their own TV's off, and starting their own journeys. There is something definately fast approaching. You can feel it in your inner vibrations if you take the time to notice. Just take the time to listen to what the average person is talking about these days. Al Gore is a fraud, there is no global warming, or Obama is a breath of fresh air, or the acknowledgement that there was something odd about 9-11. The 100-th monkey theory is working. Based on Hyperdimensional Physics, Hoagland successfully predicted the historic results of this election almost two years ago! In this production, based on further application of this HD Model, Hoagland now presents never-before-seen clues to what America and the world may expect from this incoming, unique "Hyperdimensional Obama Administration" including, what Barack Obama may finally do with NASA's decades of classified data on intelligent artifacts discovered on the Moon and Mars, as well as what could be in store for all of us at the end of Obama's first term in 2012. Last edited by Sanat; 02-08-2009 at 11:35 AM. I enjoy R Hoagland. Would have been a great conference to have been at. Many topnotch speakers. Notice he said that Obama would be found to have his birthplace in Hawaii? Guess what ... Honolulu it is! U S's first interdimensional president. 19.5 degrees. Not sure if he hosted Coast to Coast or not. I'll look it up. All in all this seems to me like a very good start! The goal of 7000 participants should be very possible to reach before May 9th. I just finished listening to this interview with Brent Miller and he talks about the 'Harvest of Souls'. Wow yes very good interview......Thanks for the link. RA: You are quite correct. RA: In your space/time you and your peoples are the parents of that which is in the womb. The Earth, as you call it, is ready to be born and the delivery is not going smoothly. When this entity (Earth) has become born, it will be instinct with the social memory complex of its parents which have become 4th density positive. WHAT IS THE DENSITY LEVEL OF PLANET EARTH NOW? The planet itself is a 3rd density planet because that is the density of the people on its surface, but the region of space into which it has moved is 4th density. This affects the planet; for example, it alters the earth’s magnetic field. HOW DOES A 3RD DENSITY PLANET BECOME A 4TH DENSITY PLANET? 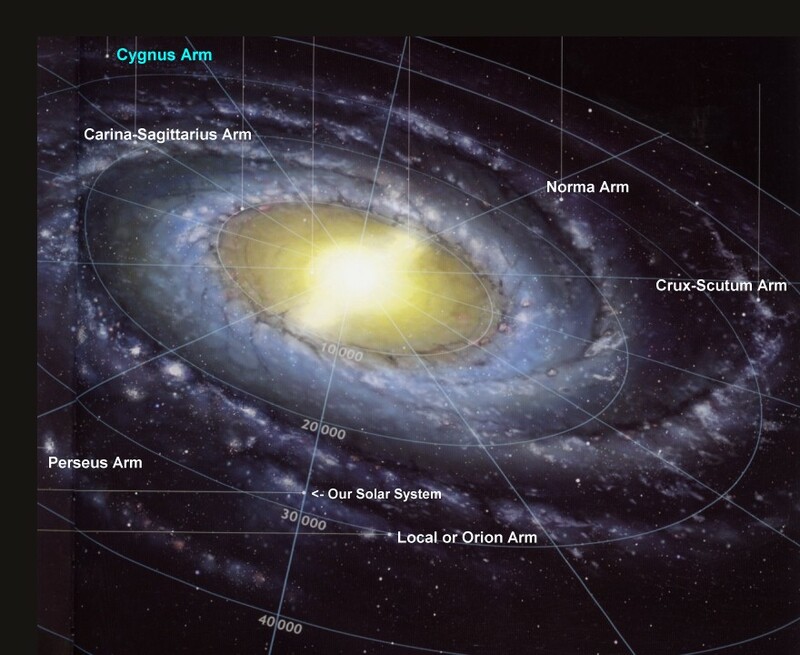 (This probably means that this region of space is filled with electromagnetic energy (photons) having an average frequency that is higher than that encountered in previously occupied regions of space). HOW LONG ARE THESE CYCLES? DON: Our planetary population has only a certain amount of time to progress. This time is divided into three 25,000 year cycles. At the end of 75,000 years the planet progresses itself. Why is this so precise? I am a reader of a lot of different channeled material which I have listed on my website. All of this material agrees on the fact that the coming Shift/Harvest/Ascension is inevitable. It also agrees that 2011-2012-2013 is the deadline for this Shift to occur. The Nexus2012 Healing Experiment can and is greatly effecting the smoothness of this Birthing Process. This is my focus as a humble participant in this great project. It is a focus I have choosen to represent while still accepting the fact that other people might have a slightly different focus (or a totally different focus altogether). The most important thing is the Unifying intent behind this Global initiative; and that is the raising of Consciousness into a higher and more harmonious expression of itself. Thank you all for looking beyond superficial differences, and seeking out the unity of Essence as the working solution of our situation. Last edited by Sanat; 02-26-2009 at 12:54 AM. The study guide is very usefull. thank for the link. I find the harvest of Venus very interesting. Don, What was the average population of Venus in the 3rd density? RA, We were a small population which dwelt upon which you would consider difficult conditions. It was an extremely bright planet in the physical sense. Our harvest was approximately 6.5 million mind/body/spirit complexes out of 38.5 million. Enlarge this photo. What is NASA trying to hide? 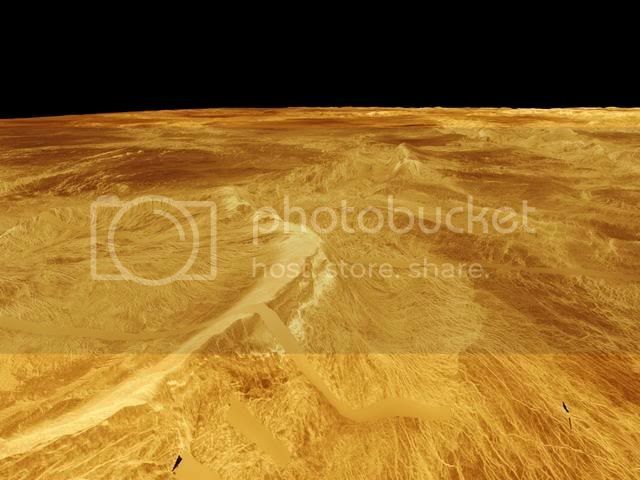 I believe there is proof that there was/is life on Venus. Last edited by micjer; 02-25-2009 at 06:00 PM. RA: The awareness of all as Creator is that which opens the green-ray center. RA: The seeker seeks the One. SELF WHO IS AWARE BOTH OF ITS APPARENT DISTORTIONS AND ITS TOTAL PERFECTION. "Obama deception" or healing crisis? Remember that Alex Jones' world view paradigm and his view of government is pretty set from before. And the same has happened with a lot of people he and others have influenced. I am not saying that is bad. Not at all. That wakeupcall was and is very very needed in many cases. If what Wilcock and other sources like Matthew is talking about is indeed true, it is very unlikely that people like Alex Jones will be able to grasp it. The momentum and heaviness of Alex Jones' world view paradigm is so large that it is not easy to "turn around" or consider otherwise. His life is basically dedicated to what he does and his view of things are pretty crystilized and clear. However, change happens fast these days. What Wilcock, Matthew, Kryon and others are saying is that the corrupt rotten system will be turned around from within by integrous people stepping forward, and that Obama plays a major part in this process. There are very little obvious signs of this at the moment, so we will have to wait and see. My calibrations support these notions. When the level of mass consciousness is as high as now, all that cannot match that level is in a process of disintegration and giving in to something that can. Something of integrity. Just like there were many many good people inside the Nazi regime system it is the same with the global nwo system (probably even more good people since the nwo system encompasses the whole world basically). But as long as the dark was able to suppress the Good/Light, and keep the level of mass consciousness (in the nazi countries) down by the grip of fear, all these Good people inside the system was unable to really step forward and do something. This is not the case in todays world the way I see it. People are breaking free from the grip of fear. The level of mass consciousness has never been higher in recorded history. Picture this Mass Consciousness as an "invisible organizing field" surrounding the Planet. At the moment, the physical world we see does not reflect the level of that organizing field. But that invisible field is working 24/7 through most everyone in order to bring reality up to its level of expression. It is bound to take a little time. It's very similar to healing. The dis-ease is now gone in the etheric level or "energy level" if you wish. This is the basic "unmanifested" level working 24/7 to manifest on the physical level. There will be "healing crisis" all the way up to the point where the etheric level matches the physical level. This is our world today. We are in major healing crisis, but on the etheric level the world is already healed and well. Are the "energy centers" RA speaks of the same thing we know as chakras? Does he offer recommendations for "clearing" them? WHAT ARE SOME EXERCISES TO PERFORM? RA: REALIZE THAT THE MOMENT CONTAINS LOVE. THAT IS THE LESSON OF THIS DENSITY. RA: THE UNIVERSE IS ONE BEING. RA: GAZE WITHIN A MIRROR. MIND, BODY, AND SPIRIT OF EACH ENTITY. Other than that it is to accapt all experience ("positive" as well as "negative") as catalyst for growth instead of fighting and resisting it (which creates dis-ease). RA: We suggest that you attempt to become aware of the other-self as self. A PARTIAL BLOCKAGE OF ONE ENERGY CENTER? DON: As an analogy for activating the energy centers, anybody can pull out each string on a 7 stringed musical instrument and release them, producing 7 notes. But that doesn't necessarily produce music. A musician's hands can make music. Is this correct? We are all instruments in the great Orchestra of Creation. Creator is playing through us continously, but it is our own job to tune our instrument towards Balance and Harmony. Last edited by Sanat; 03-14-2009 at 02:13 PM. Greetings! We come before you once again! Your planet is preparing to move into the next stage of her return to full consciousness. This development is accompanied by a similar move by all the water planets in the solar system. Thus, Mars, Venus, and the remnants of Pax (the trans-Martian world) are beginning to show more noticeable activity. Your Sun is now aligning herself with the multidimensional energy streaming forth from the galactic core. Indeed, a vast new rhythm is taking hold. This new patterning is imprinting itself upon all elements in your solar system. This is causing Mars to increase her seismic activity and bring some of her abundant subterranean water up to the surface, especially at the poles. 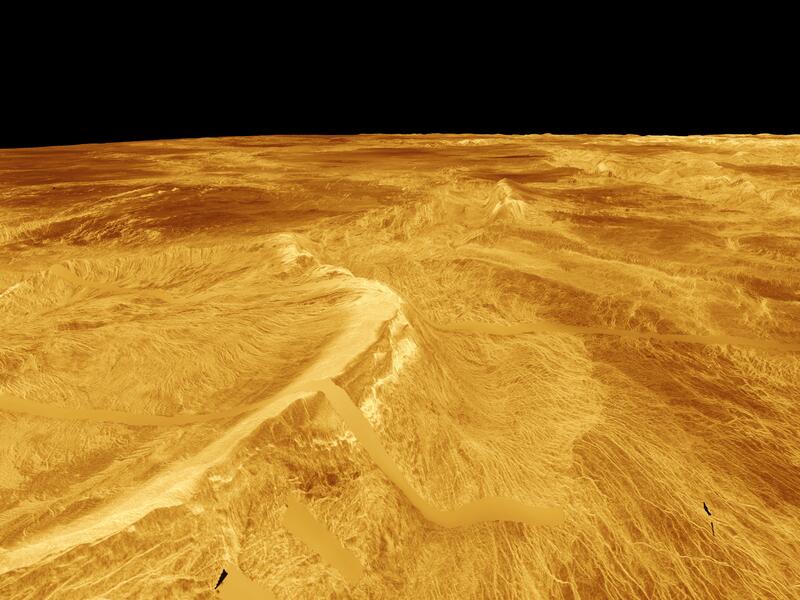 Venus is likewise demonstrating strange cooling effects in her lower atmosphere as well as increased levels of volcanism. Many of the asteroids that once formed Pax are moving around each other in quite odd ways. In the last few months, the Sun has displayed some very unusual behavior as she moves through her current sunspot cycle. All this activity is in anticipation of a tremendous amount of sacred instruction that is originating from the center of physicality. This great signal is affecting literally billions and billions of galaxies. Physicality is nearing a great shift that is destined to move a new Light throughout it. We have watched this taking form from data received from our Science and Engineering (S&E) fleets scattered throughout this galaxy. Similar reports have come from science fleets stationed in other nearby galaxies. We are on the edge of the great changes prophesied eons ago by Heaven. This excites us, and we come here at this time to tell you about what we are observing. These energies are a herald of a great Light that is to change us in the very near future. We ask that you understand two things about these energies: First, they do not represent anything calamitous; they are a positive force for change within our numerous realms. Second, they are going to transform you into something whole, wonderful, and good, as well as utterly transforming what you now know as your present reality. These natural changes are showing up throughout this galaxy. Your scientists are noticing that a great deal of ultrahigh energy is streaming from several sectors in this galaxy and moving outward from the galactic core. This core energy is merely a forerunner of what is to come. This great wave comes from the very core of physical Creation. It is a wave of positive change! As it passes each galaxy, it rearranges how a galaxy operates. In effect, it reorders what physicality is and how it operates. This 'God-force' is not to be feared; rather, it is to be praised and longed for! Our communications with galaxies much closer to it confirm this, and we live in joy that such a wondrous event can happen during our present lifetime. We have asked our fleets to report on the effects of this wave as it approaches our own galaxy. So far the results indicate a radical effect on the many worlds contained in this galaxy and indicate a need to prepare all for what is getting close to happening. This is why we are informing you at this time about what we now know about these things. I think all the "dire predictions" are simply individual/collective fear/guilt bubbling to the surface, and being processed out of the system on micro and macro level. This is a most necessary part of the healing/cleansing. Each positive oriented Soul/Being came here with a momentum towards what they wanted to achieve in this lifetime, and are being guided accordingly. As each gravitate naturally towards their respective "objectives", either consciously or more unconsciously, the Grand Plan is manifested naturally. It does not mean that we should sit back and "do nothing", but it does mean that we can learn to trust in the process and what we are a part of. The river/stream/timeline has been subtly changing course for a long time due to the influx of lighted Beings, and the awakening of the light inside. Global meditation is strengthening and helping this natural process to run smoother and more peacefully than what would perhaps otherwise be the case. It calms the mind of the Gaia (and she sure could use a rest). Meditation helps open us up to be sensitive recievers of our own purpose here. The knowing inside that does not need outside "proof" or "confirmation". Each has a different perspective of what is "going on" at this time. A Global meditation is an invitation to accept different views, and come together in Essence. Let each bring and contribute what they can, as long as the intention is of Light.